But on the way home, disaster strikes! Lily falls asleep and accidentally drops Teddy in the park. It’s not easy being a lost Teddy, cold and far from home… but Lily can’t go to bed without him. 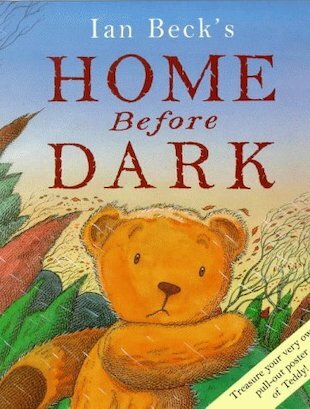 Teddy must get home before dark! This gentle, old-fashioned adventure with a snuggly happy ending will delight tots and their parents, and has a pull-out poster of Teddy too. A book for reading together just before falling asleep, or at a roaring fireside with a steaming mug of cocoa, this cuddly bedtime treat is one to treasure.